A new musical, directed by visiting associate professor of theater Kim Weild, runs Oct. 22-Nov. 15 at the Goodspeed’s Norma Terris Theatre in Chester, Conn. 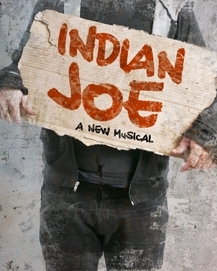 Inspired by true events, Indian Joe tells the unlikely story of a homeless Native American and a Texas beauty queen who never should have been friends. He’s looking for a fight. She’s looking for a cause. As they stumble toward friendship, both ultimately overcome fear and prejudice to discover that there’s more to family than what you see. From the streets of Waco, Texas to the streets of New York City, it’s a uniquely American story with a progressive Americana beat. Elizabeth A. Davis will play the character Liz. Davis received a Tony nomination for Best Actress in a Featured Role in a Musical for the hit Broadway production of Once. At Wesleyan, Weild teaches Introduction to Directing, Directed Experiences in Acting and Performance Practice A. For more information on the musical, see this Middletown Press article or this Broadwayworld.com feature.